A cubicle which gives the beauty to your bathroom. 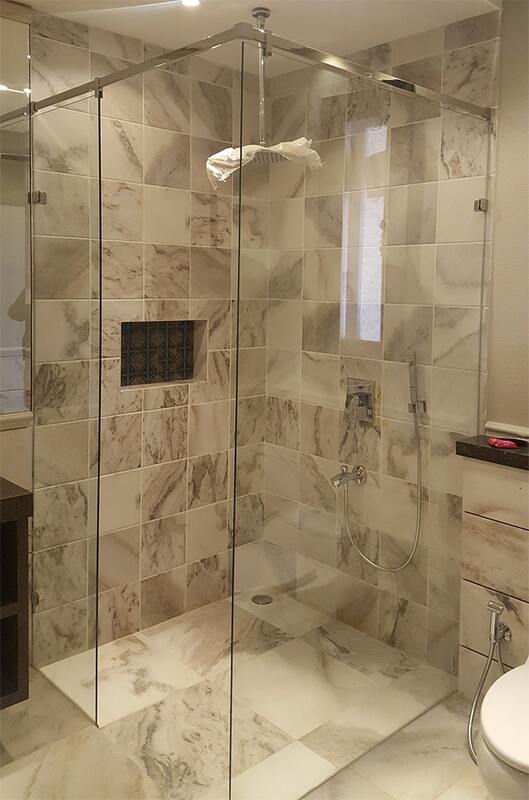 We offer a vast array of hardware finishes and glass types to complete the look of your bath. Custom finishes and difficult applications are our specialty. Our engineers love a challenge. Contact one of our dealers today and let us provide a solution that fits your budget and schedule. PSG also offers bath screens for those who prefer a more open showering environment. These 8mm tempered glass screens are notched by two hinges and can have any type of edge. We can offer them (with or without the hinges) at a very competitive price.